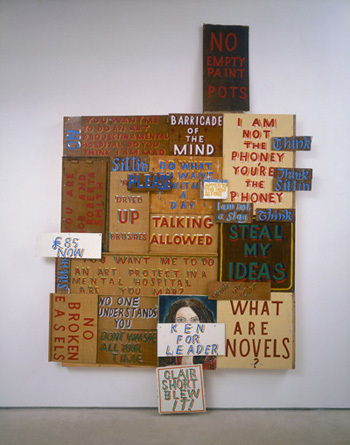 Bob and Roberta Smith, singular. 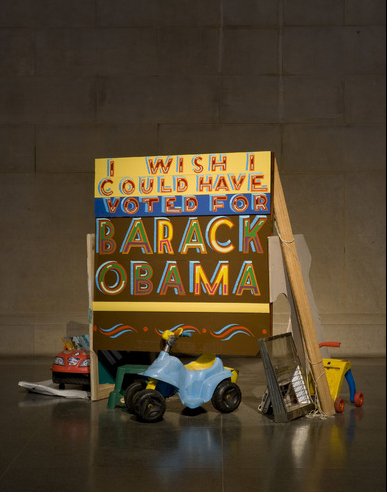 Bob and Roberta Smith is a one man show. Him and his sister Roberta used to collaborate, but she has since dropped from the duo. Despite that, Bob Smith (who is by birth Patrick Brill) chose to keep the double name. 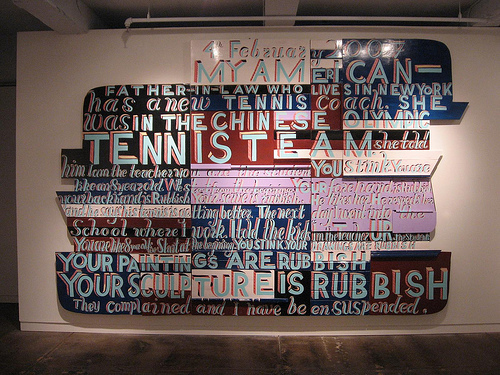 This British artist does just about everything. 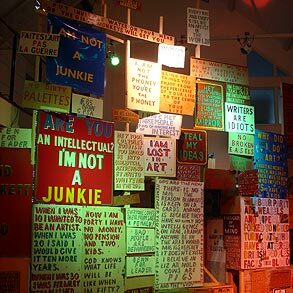 Last fall Bob and Roberta Smith installed a show at The Factory Outlet in London. 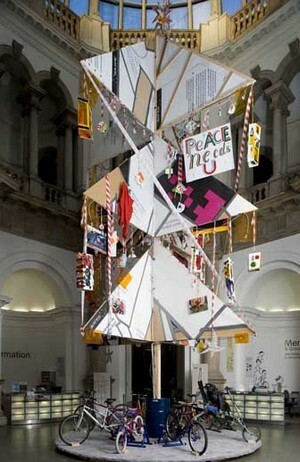 Check out this Art Review interview with the artist. He is also in a Band named “The Apathy Band“, you can see their videos and listen to their jams on MySpace. This entry was posted on 02.04.10 at 4:17 pm and is filed under Uncategorized. You can follow any responses to this entry through the RSS 2.0 feed. You can leave a response, or trackback from your own site.